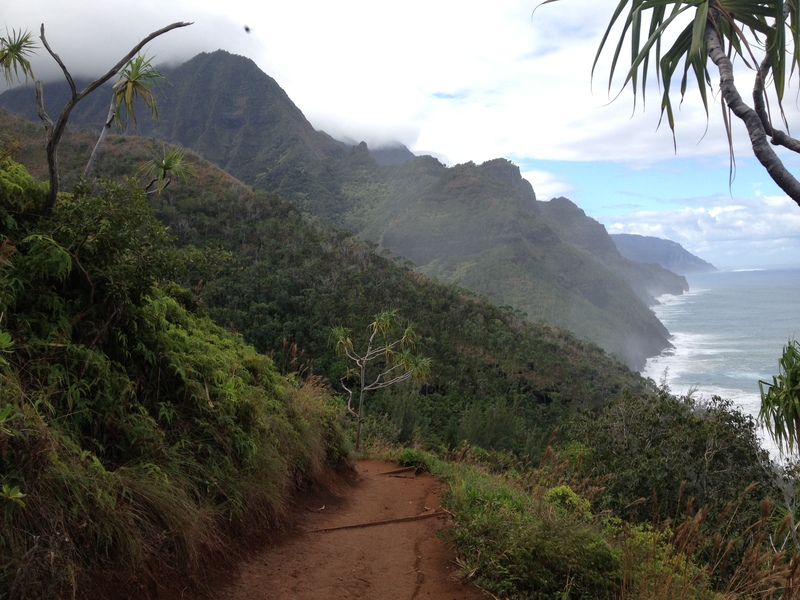 Ranked one of America’s 10 most dangerous hikes by BackPacker magazine, I ran the Kalalau trail on Kauai in Hawaii last week. It was one of the most difficult yet beautiful 22 miles ever. 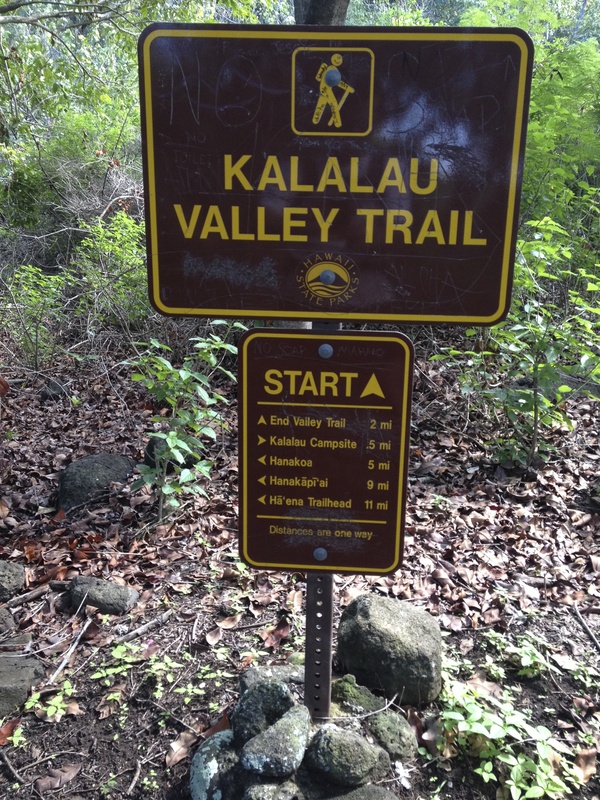 The trail is 11 miles each way along the coast and included slippery rocks, giant roots, thick mud, several water crossing, death-defying narrow cliff passes, and only about 11,000 feet of elevation gain. I found this trail online and thought I could get a run in before my meeting started. I set a goal that the hotel concierge and the park ranger told me was not realistic. My plan was to finish in less than 8 hours so that I could get back to my hotel in time for the opening reception. I of course saw this as a challenge that I couldn’t resist. 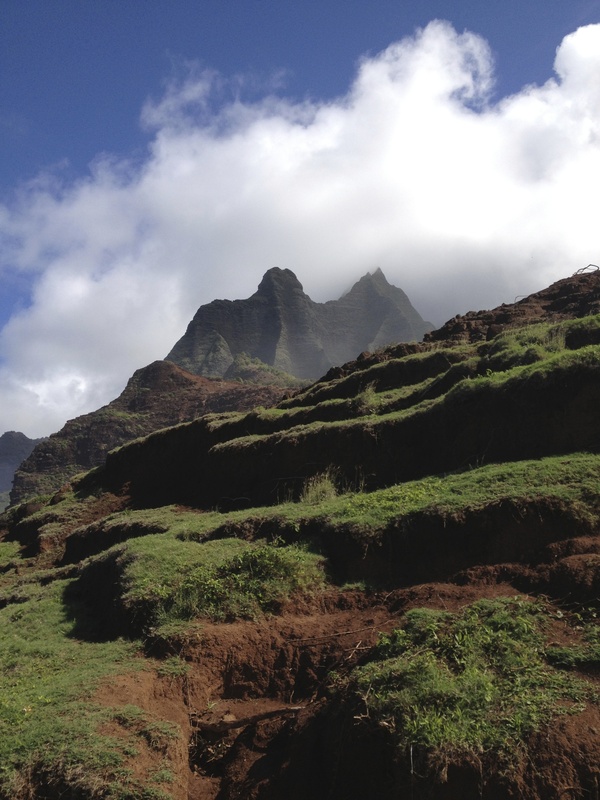 Given the high cliffs that were often at my side, I was sometimes cautious but found myself attacking the uphills. I felt confident doing this, as the idea of falling “up” was not as scary as the alternative. The reality is that heading downhill, regardless of how careful you are with your steps, creates momentum that is not only scary, but on this trail was life threatening. As I ran the course I began to reflect on the significance of how running so often reflects life. As humans we are all sure to stumble, to fall, and to sin. Despite our best efforts we struggle to live in a manner that truly reflects God’s love in this life. We have the ability to make a choice each day to strengthen our faith and look upward for direction. We should surround ourselves with those who are striving for the same spiritual goals. When we do this, our falls will still be inevitable, but they are likely to be less painful, shorter, or easier to recover from based on the support we will have and direction we are headed. I believe the opposite is true in life as it is on the trails. If we choose to ignore the warning signs, hang out with the wrong friends, or live a life that only satisfies our carnal desires, our falls will be greater as the momentum we have generated overtime may make it difficult to stop ourselves. The roads we travel in our life will not always be smooth. 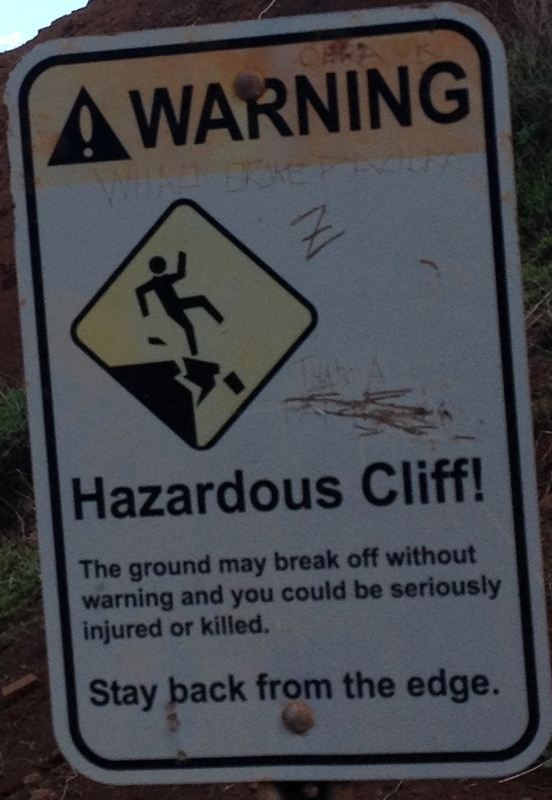 Slippery rocks, dangerous falls, and many obstacles are all around us. We must do our best to prepare for those stumbles and decide when we should stop, when we should walk, and when we should run! 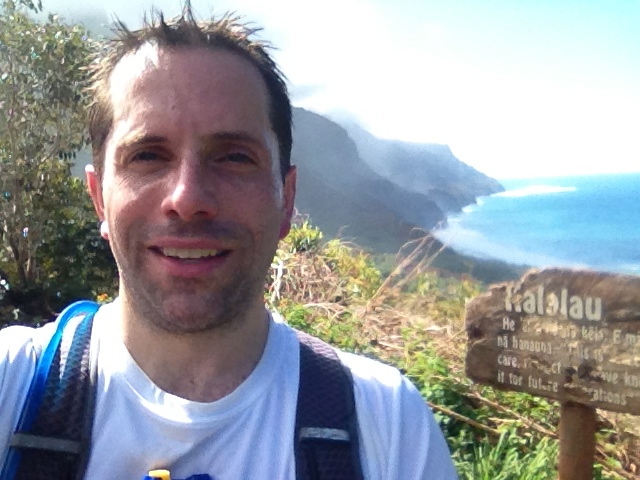 This entry was posted in Challenging, Goals, Proverbs and tagged Faith, fitness, God, Kalalau Trail, running, Ultrarunning, where to run in Kauai. Bookmark the permalink. Nice Nick! Certainly looks like a very inspirational trail. Assume you made it back for your meeting?! Wow Mary! Thanks and the my response to your comment could be a post itself. I do believe the climb is more difficult and takes more energy. However we are in control of the climb but must take the challenge and enjoy the view from the top. The fall on the other hand is often easier and quicker. The result though is not as fun or pretty when you reach the bottom! So very true! Thank you for sharing your experience and reflection. And glad you made it in time! Thanks! It turned out the traffic getting back to the hotel was the biggest challenge! Nick, you never fail to amaze me! Thanks Lurleen! You are too kind. Thanks! It was a long flight and work kept me busy but that run made it worth while. I am interested in doing this run myself. Would like to get more info from you…can you email me.